Clear and Present Danger on VHS. Starring Harrison Ford. With Willem Dafoe, Anne Archer, Joaquim de Almeida, Henry Czerny, Thora Birch, James Earl Jones. 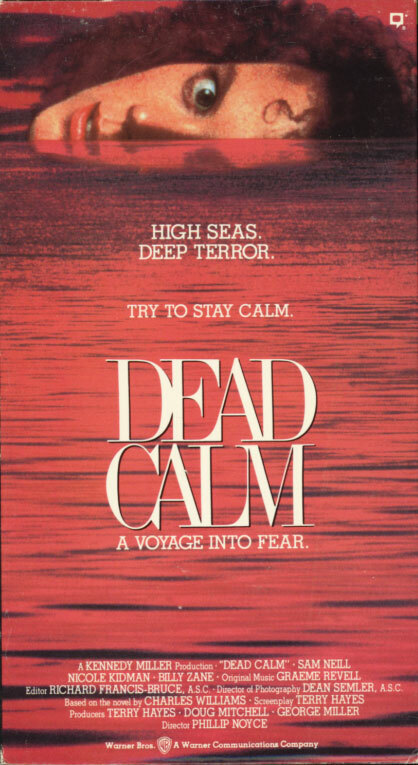 Directed by Phillip Noyce. From a Tom Clancy novel. 1994. 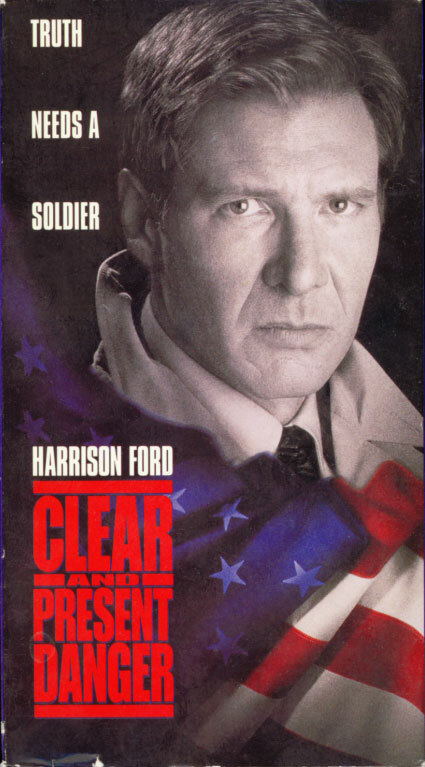 Harrison Ford returns as intrepid CIA agent Jack Ryan in this critically acclaimed box-office smash from the producers of Patriot Games. When his mentor Admiral James Greer (James Earl Jones) becomes gravely ill, Ryan is appointed acting CIA Deputy Director of Intelligence. His first assignment: investigate the murder of one of the President’s friends, a prominent U.S. businessman with secret ties to Colombian drug cartels. Unbeknownst to Ryan, the CIA has already dispatched a deadly field operative (Willem Dafoe) to lead a paramilitary force against the Colombian drug lords. Caught in the crossfire, Ryan takes matters into his own hands, risking his career and life for the only cause he believes in — the truth. The Bone Collector on VHS. Starring Denzel Washington, Angelina Jolie, Queen Latifah. Directed by Phillip Noyce. 1999. He takes his victims’ lives and leaves behind mysterious pieces of a bizarre puzzle. And the only person who may be able to make sense of the serial killer’s deranged plan is Lincoln Rhyme (Denzel Washington), a onetime top homicide investigator. But after a tragic accident changes his life forever, Rhyme can only watch as other cops bungle the case… until he teams up with a young rookie, Amelia Donaghy (Angelina Jolie), who bravely searches out the clues that help them solve the case.